Tired of having to change a lot of ID’s to play with several mods minecraft? ID Resolver 1.5.1 provides a solution for that changing automatically with a single click and thus the problems of incompatibilities between mods will be much lower. 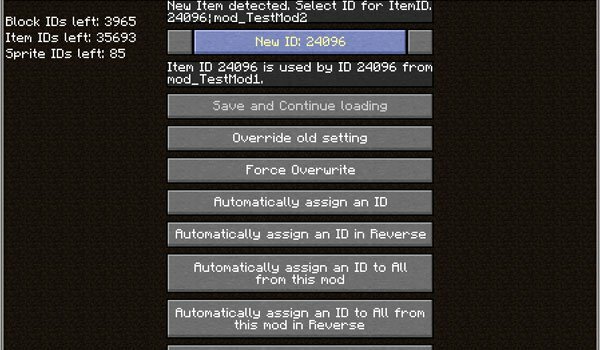 How to install ID Resolver Mod for Minecraft 1.5.1? Download Minecraft Forge API 1.5.1 and GUI API. And enjoy your Minecraft without the clutter of ID’s!